Not sure what to eat on a ketogenic diet? Get a full list of keto foods so you know exactly what to eat on keto. Let’s get started! If you’re just starting out on a ketogenic diet, you might be wondering how to keep your diet varied and delicious. Being on a diet isn’t an easy thing to maintain when you aren’t excited by your food. 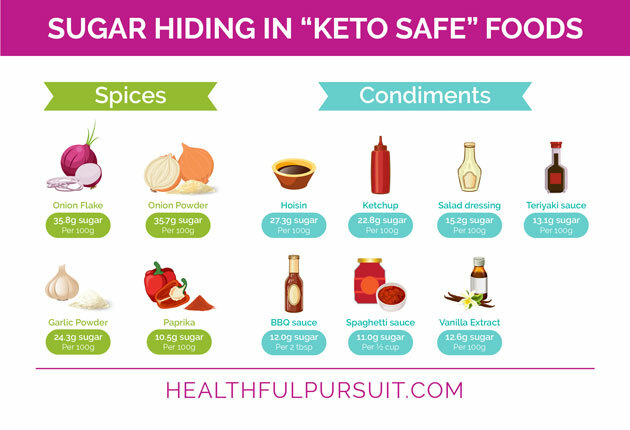 So, it can be really helpful to have a list of approved keto foods to make shopping, meal planning, and eating a little simpler. And, maybe even before you get to that point, if you’re new around here, you may be asking yourself, what is keto? Keto is a low-carb approach to nourishing your body where, instead of relying on carbohydrates for energy – a non-renewable energy source – we rely on fat! When I reference carbohydrates as a non-renewable energy source it’s referring to the need to consume carbohydrates. We need to consume carbohydrates in large quantities to keep our energy up when we’re fueling with them. In the case of fat, however, we have multiple fat cells in our bodies, all which can fuel us when we are on keto. This makes for less eating times, less food needed, and far more energy available to us when we need it! A ketogenic diet puts your body into a metabolic state called ketosis. In this state, your body uses fat instead of sugar, to generate energy for your body. When their body is in ketosis, many people see great benefits like improved health, energy levels, and weight loss. In order to put your body into ketosis, you must eat a diet that is extremely low in carbohydrates, high in fat, and moderate in protein. 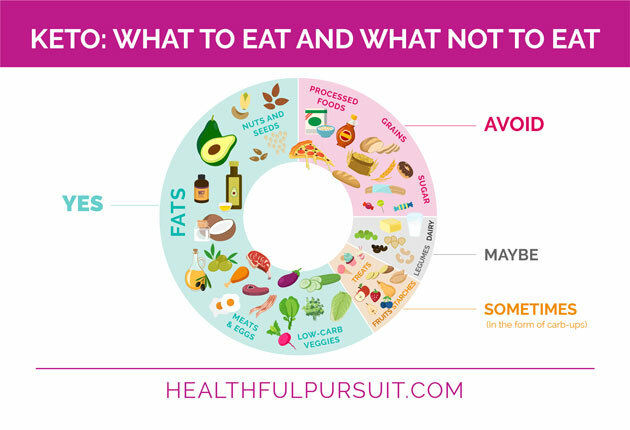 A ketogenic diet can take some planning, so it’s best to map out what you can and can’t eat before you get started. The more you understand what has carbs and what doesn’t, the faster your body will enter into ketosis, and the sooner you will see the benefits. 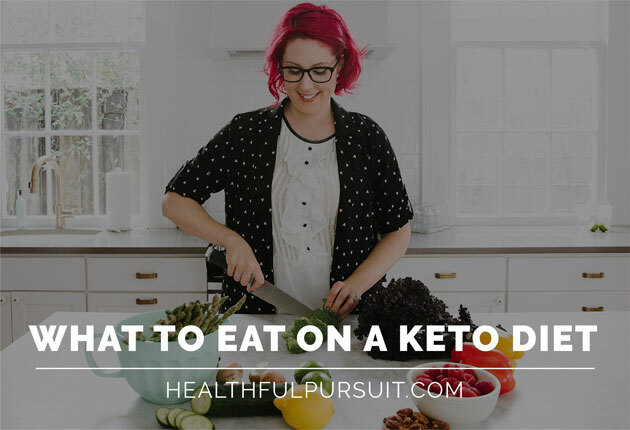 Read on to learn where to start, and how to plan for success on a keto diet! While on a ketogenic diet, you’ll want to curb your carb intake as much as possible. But that doesn’t mean no carbs. You’ll be getting your carbohydrates primarily from vegetables and nuts. Grains like corn, wheat, rice, and barley. Sugar in all its forms, like honey, agave, and maple syrup. Nearly all fruit, including apples, bananas, and oranges. Starchy vegetables and tubers like potato, squash, and yams. Fats and oils – Get most of your fat from natural sources like meat and nuts. You can add in additional saturated and monounsaturated fats like coconut oil, avocado oil, grass-fed butter (if you’re not sensitive to dairy), and olive oil. Protein – Try to eat organic, pasture-raised and grass-fed meat where possible, as they contain more healthful compounds than commercially produced meat. Meat can be consumed in moderate amounts, as long as it doesn’t have any additives, sugar, or nitrates. Vegetables – leafy greens are best. It doesn’t matter if they’re fresh or frozen, but stick with vegetables that grow above the ground as they’ll generally contain less carbs. Dairy – my Fat Fueled approach is dairy-free because many dairy products produce inflammation. Read more about the effect dairy has on your body and your keto results. If you choose to consume dairy on your keto diet, make sure it doesn’t have added sugars (i.e. sweetened yogurt). Always choose full fat options. And, a little tip? Hard cheeses usually have fewer carbs than soft cheeses. Seeds and nuts – these make great snacks and add a crunchy texture to just about any meal. 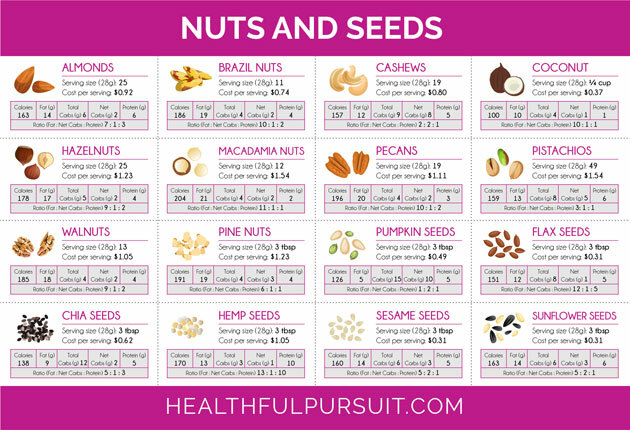 Nuts and seeds are best eaten in moderation, as they contain some carbs. Stick to fattier nuts like macadamias and almonds as opposed to carb-heavy nuts like cashews. Drinks – drink mostly water, flavoring it as needed with stevia-based flavorings, lemon or lime juice. Fruits – some berries are OK to eat, with blackberries and strawberries being best because they’re lowest in carbohydrates. In addition, you can practice carb ups (occasionally eating more carbs than typically allowed on a keto diet), which can be helpful for women to regulate their hormones. It can also help in breaking through weight plateaus on keto, and can help you generally feel better. For a comprehensive guide to carb ups, including how to make the most of your carb ups, check out my keto membership program – Happy Keto Body. The majority of your calories will come from fats when you’re on a keto diet. Keep this in mind, and consider your personal preferences. Fats can be combined in many different ways, like in sauces or dressings, or you can simply add your favorite oil to meat or vegetables. Fats are necessary to keep our bodies running correctly, but the wrong types of fats can be harmful. Consider the different types of fats involved in a keto diet. Different foods tend to have combinations of these fats in different amounts. Saturated fats are good for you to eat. Examples of saturated fats include butter, tallow, lard, ghee, and coconut oil. Monounsaturated fats are good as well. These include olive, avocado, and macadamia nut oils. 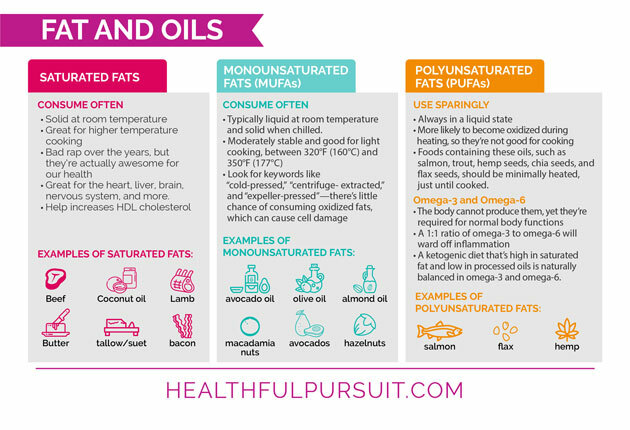 Polyunsaturated fats occur naturally but can also be processed. Always choose naturally occurring polyunsaturated fats, like those found in animal protein and fatty fish. Processed polyunsaturated fats like those found in margarine spreads are not good for you. Trans fats need to be avoided at all costs. They are processed, chemically altered fats that are linked to heart disease. Trans fats are altered to increase shelf life. Why Saturated and Monounsaturated Fats? Saturated and monounsaturated fats like those listed above are chemically stable and less inflammatory than other fat options, so they are the best kind you can eat. It’s also important to have a balance between Omega-3 and Omega-6 fatty acid intake, so eating foods high in Omega-3’s like wild salmon and shellfish can help balance your fatty acid intake. If you don’t like to eat fish, you can take it in a supplement. Although you hear about some nuts and oils (i.e. walnuts, almonds, pine nuts, sunflower oil, corn oil) being high in Omega-3’s, many are also high in inflammatory Omega-6’s. Eat fatty fish, avoid snacking on too many nuts, and don’t over-indulge in desserts that include a lot of almond flour, and your Omega fatty acids should be at normal levels. These fatty acids provide necessary functions to the human body, but often they are out of balance when you eat a typical diet. On keto, however, with a little planning, your omega fatty acid intake is easily manageable. Also, if that’s not enough to convince you of their importance, Omega-3 fats help turn ON your genes that are involved with fat burning. So, eating salmon a couple of times a week on your keto weight loss diet is going to work in your favor! If you like to fry your food, always go for non-hydrogenated lard, tallow, ghee, or coconut oil when frying. These fats have higher smoke points than others, which means they oxidize less and won’t cause inflammation. And, because of this, you get more of the essential fatty acids. As mentioned above, always choose grass-fed or pasture-raised meats. These animals eat a natural diet and consume fewer chemicals, hormones, and steroids. Choose darker meats, as they tend to be fattier, and eat plenty of fatty fish. Red meat is fine to consume, but if you’re eating meats that have been processed (i.e. sausage, cured meat), watch out for added carbs, sugar, and nitrates. Choose fattier cuts of steak, or ground beef with a higher fat ratio. Lamb is also a great option. When it comes to protein intake on a keto diet, you may have heard that eating more protein will keep your body from going into ketosis due to gluconeogenesis. However, this only happens when your body requires glucose, not just because you ate excess protein. Here’s a great podcast episode to listen to if you’re confused about protein on keto. Shellfish – crabs, lobster, clams, oysters, etc. Vegetables undoubtedly have carbs in them, so you may be wondering which vegetables are safe and how many is too many? Choose dark green, leafy vegetables, combine them with protein, and top with a fat. Though vegetables do have carbs, it’s important to know what a net carb is. Net carb is the total carbohydrate amount of an item minus the fiber it contains. Counting the net carbs of vegetables allows you to consume more vegetables on your ketogenic diet while keeping your overall carb count low. Basically, when you count net carbs, you aren’t counting how much fiber you eat. Think of fiber as a “freebie”. Consider both the grams of carbohydrates and the grams of fiber in a vegetable before cutting it out of your life for good. Vegetables with a high fiber count will have less net carbs, which is great! Whereas, vegetables with a low fiber count but high total carbohydrate count won’t be so awesome. 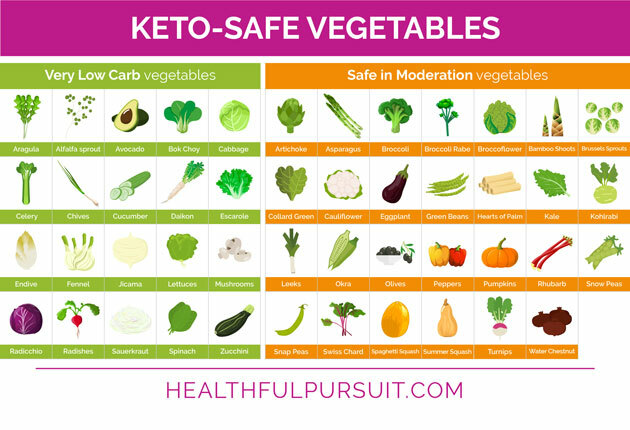 Veggies are absolutely necessary on a keto diet, because they are loaded with vitamins and minerals. Always choose veggies that are high in nutrients and low in carbs, with the best being spinach, broccoli, green beans, cabbage, and kale. Nuts are a great source of fats, but they do have carbs that can add up quickly, so be wary of that. In addition, remember about keeping your Omega-6 fatty acids in check. For everyday snacking, you want to stick with fattier and lower carbohydrate nuts like macadamia nuts, Brazil nuts, and pecans. In addition, flours made from nuts and seeds are great substitutions for wheat flour in baked goods as you make the transition to keto. Here are a couple of keto-friendly dessert recipes that you may enjoy. Drink lots of water whenever you can, as the ketogenic diet has a natural diuretic effect so you’ll need it! Avoid any beverages that are sweetened with sugar or artificial sweeteners like sucralose or aspartame. Stick to drinking cold or hot tea, coffee, bone broth, almond milk, coconut milk, and low-carbohydrate alcohol every once in awhile. Many store bought sauces or condiments have added sugars, so when you can, make your own so you know exactly what’s in it. Always double check nutrition labels if you do need to buy them in the store. And, see here for a full interactive resource page on all products, snacks, and keto-friendly items. You’ll want to avoid sugar and products that contain them. But good news: there are plenty of carb-free sweeteners including stevia, erythritol, monk fruit, and 100% allulose. Products labeled “low-carb.” There is no standard to define low-carb, so don’t just assume it’s safe. Read the labels! Spices – onion and garlic powder, ginger, allspice, and cinnamon have carbs in them, but if you’re just using a sprinkle, they’re usually fine. Condiments – the stuff in bottles at the store often have added sugars (or are made with harmful oils). Chocolate – chocolate on keto is fine so long as it’s a 90% or darker option as these are very low in sugar. Medicine – some cold medicines, cough syrups, and similar products contain sugar and carbs to make them more palatable. Keep an eye on this when you’re sick. Because meats and fats tend to be expensive, and carbs are notoriously cheap, you may expect to spend more money on food while you’re on a keto diet. However, remember that when you’re on keto, you eat FAR LESS than you did when you were eating carbs every two to three hours. 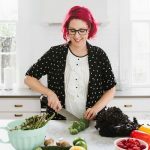 So, you will see that once your hunger subsides (which is a natural reaction to the keto diet), you will be spending equal or less money on groceries than you did previously. And, the quality of your food will go up exponentially! Keep your eye open for deals – coupons, sales, and manager cuts (look for meat-manager specials) can help you stay within your budget. Buy in bulk, cook, and freeze – buying lots of an item at once can save you some serious cash. Put aside a few hours on the weekend to cook up big batches of things to last you through the week, or freeze meals for later. Make things from scratch – individual ingredients are often cheaper than buying processed, prepared products, and you can control exactly what goes into it. Keep these things in mind, and you’ll be on your way to planning a great and healthy keto diet! If you’ve been following along with this series (How The Keto Diet Is Different For Women, Ketogenic Diet Problems & Solutions for Women, and Guide to Weight Loss on Keto and Customizing Your Keto Diet for Your Female Body) you should be ready to get off to a great start on your keto adventure. And as a lot of women will tell you, it’s a life-changing ride. The information in this four-part series makes it easy to get started. But, to get the most health and weight loss transformation from your keto diet, you’ll need to customize it for your body. It’s the only doctor-approved keto membership program for women, with over 21 hours of video training and the option to join-in on live group coaching calls. To find out when Happy Keto Body is open for registration go here.